...Click Here for Lake Fork Shows! USE OUR CODE: lancevick25 to receive 25% OFF Retail at Total Nutrition of Tyler...Get FREE SHIPPING on qualifying orders! Thousands sold since 2008...Read our customers' testimonials. Catch Trophy Bass. . .
...Scroll Down this Page to Find Out! Share-a-Lunker No. 438 caught on April 10, 2007. 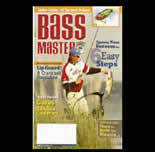 Why Bass Fishing on Lake Fork? There are more 10+ pound fish caught per fishing man hour on Lake Fork than on any other lake in the country! When to go Bass Fishing on Lake Fork? 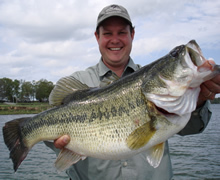 How can YOU catch YOUR Trophy Bass on Lake Fork? Lance Vick is a Lake Fork Fishing Guide who will put you in the Right Place at the Right Time! Or if you have a "last-minute" request. 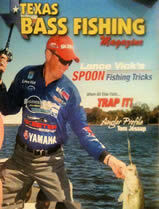 Lance Vick has put countless anglers on the Biggest Bass of their Lives! Lance Vick is a Professional Tournament Angler. Lance Vick Offers Professional, Full-Service Lake Fork Guide Trips for Individuals, Parties up to three people in one boat, Large Group Trips and Corporate Trips...All Tailored to your individual needs! Lake Fork Lodging is available upon request...Or CLICK HERE for additional Lake Fork Lodging. READ a Personal Letter from Lance Vick. Trophy Bass of your Life!